Take advantage of UCView’s built-in content integration. Have access to over 100 different types of news from Yahoo, Accuweather and more. 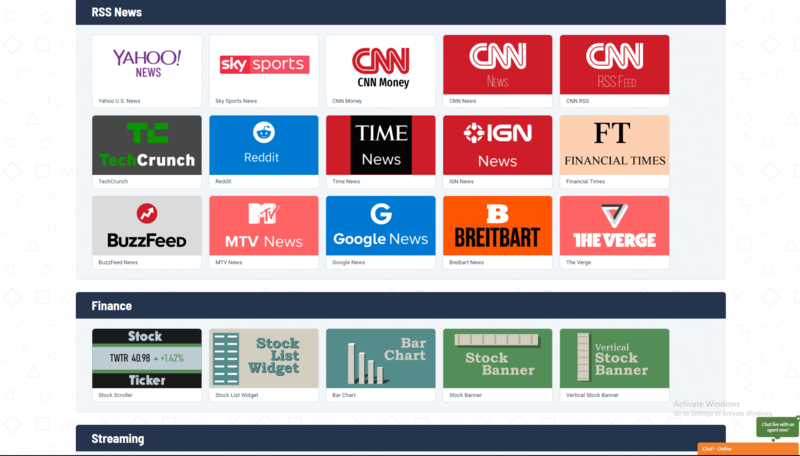 View traffic reports, RSS feeds, trivia games, stock tickers, and a large selection of built-in content available for your use. Our tool allows for ample amount of content to be displayed instantly. Select different forms of media to display, such as Live TV, text message, web page, and social media. Being a worldwide provider, UCView’s content can be displayed in multiple languages. Provide viewers with informative and entertaining content all the time!